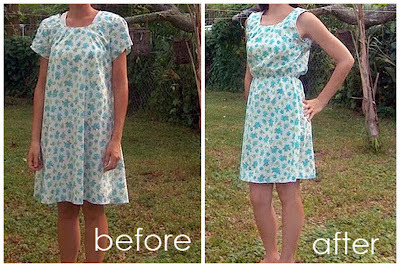 First off, the Sew Convert. I know I featured her last week but she just won't stop. 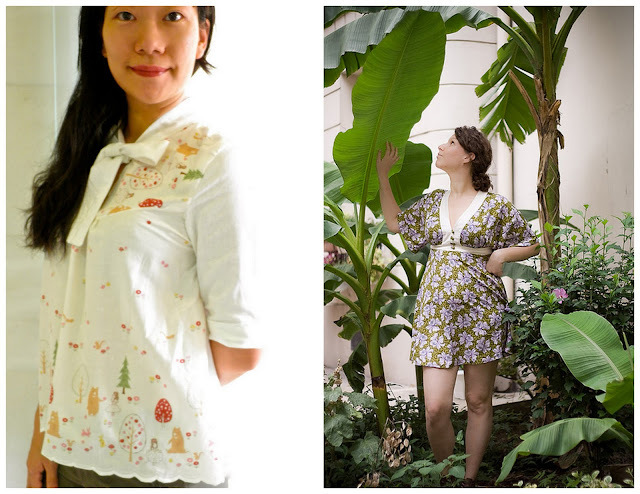 Check out her lovely woodland blouse. Made from the Japanese Sewing Book ‘Les couleurs francaises’. And I definitely wanted to feature AkiraleShiba's flower dress. 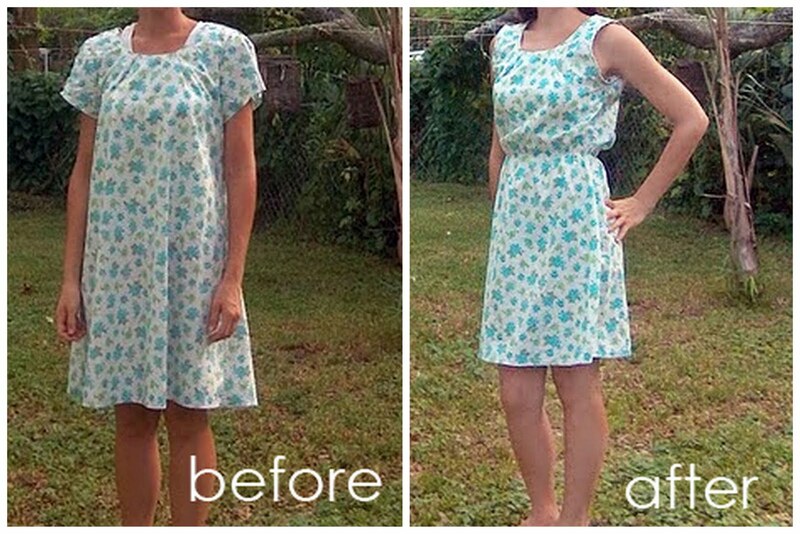 She altered the 11A pattern from the French Burda fashion website. And IT'S FREE! Check it out here. And Hermoine J. Schwartz's Granny House Dress inspired by the thrift store thursdays! Check out the full story here. 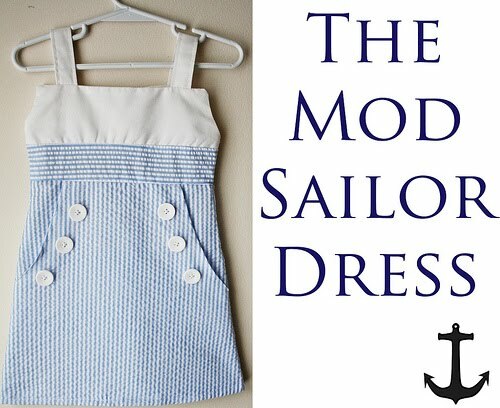 Finally, Happy Together made this ADORABLE sailor dress but better still, she shows you how to make one for your little girl here. Thanks for the link :) You are too kind! Hi! I read every post I can but have never commented before. Do you know how can download the French Burda pattern? Thank you for any help. 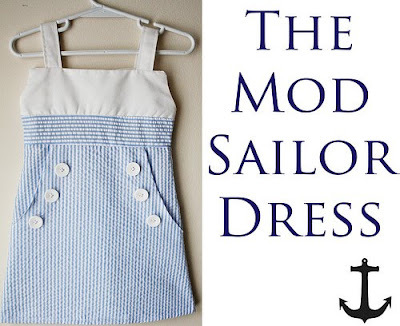 Forget little girls, I want that sailor dress! Thank you so much for including my thrift store save! I had a lot of fun with it. before and after pics very efficient!